The Central and Delhi State Governments have been carrying out an aggressive ten day long Clean Air Campaign from 1 to 10 November 2018. 52 teams for controlling air pollution were jointly flagged of by the Union Environment Minister Dr. Harsh Vardhan and Delhi Environment Minister Imran Hussain. 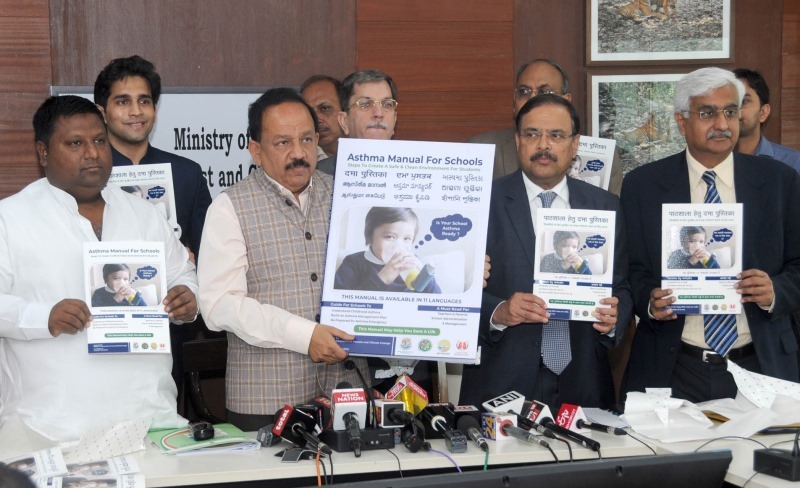 An Asthma Manual for Schools was also launched looking at the rising incidents of this disease in school children in Delhi NCR. Air pollution aggravates around Diwali is one of the main reason why we can no longer afford to burst crackers during Diwali. Each of the 52 teams are now visiting different parts of Delhi NCR and have the local Sub Divisional Magistrate (SDM) as the Team Leader. Senior officials from Ministry of Environment, Forest and Climate Change (MoEFCC) and representatives from Central Pollution Control Board (CPCB), Municipal Corporation of Delhi (MCD) and Delhi Pollution Control Committee (DPCC) are part of the teams. Speaking at the launch event, Dr. Harsh Vardhan highlighted the need for active participation from all concerned agencies to ensure quick action is taken on the cases of violations of pollution rules reported by field teams. He said, “In case of repeat violations, criminal proceedings against defaulters will be initiated.” If air pollution is now leading to increased incidences of asthma, and creation of asthma manual, that is indeed a very big issue to worry. Dr. Harsh Vardhan today also chaired meeting with State Governments of Delhi, Punjab, Haryana, UP and Rajasthan and noted that though the incidents of stubble burning has seen a reduction of 30 percent from the previous year but overall the steps taken by the State Governments to control stubble burning are far from satisfactory. “In Punjab only daily cases of stubble burning were still running into thousands” informed Dr. Vardhan. He requested that effective steps be taken aggressively by State Governments to control stubble burning.